A patent provides its patent owner with the right to exclude others from making, using, selling, offering for sale, and importing into the U.S. whatever is claimed in the patent. However, there are a number of different reasons for pursuing a patent. These reasons may vary depending on whether you are an independent inventor, a startup company, or a large/established company. Just a few of the many reasons for pursuing patent protection are outlined below. First, patents specifically prevent your competitors from making, using, selling, offering for sale, and importing into the U.S. your patented invention. Many companies file patents for alternative ways of manufacturing that will never actually be used by the patenting company. The only reason for such patent filings is to block competitors from manufacturing alternative competing products using alternative methods. This will most certainly provide a crucial competitive advantage to companies within their respective fields. Second, a patent will likely provide reasons for investors to invest in a business or technology. 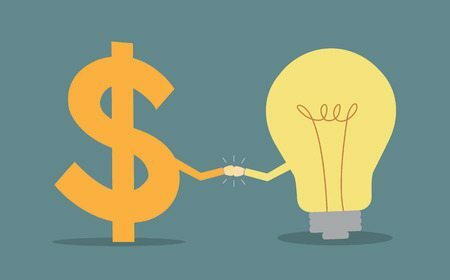 Since patents are usually the strongest intellectual property asset of a business, investors often view patents as a general indicator of value. As a result, a patent (or a pending patent application) will typically help convince potential investors of the growth potential of a business in order to make a lucrative deal. Third, patents often serve as great marketing tools for products since marking your products as “patented” offers value in the eyes of many consumers. Consumers commonly associate a patented product as being of high quality and technologically advanced. Even using the term “patent pending” on a product provides significant marketing advantages for the product, while acting as a deterrent to potential infringers. Fourth, patents (and filed patent applications) can sometimes be a quantifiable measure of an individual’s importance as an employee and as an inventor. The number of patents an individual is named on an inventor on can be used for salary negotiations and other career milestones. Also, depending on the company, individuals may even be eligible for bonuses or incentives from their employers. Some companies like to reward employees that bring them new, commercial ideas. Fifth, patents are often used as a potential revenue source to the patent owners. Patents (and pending patent applications) can be sold or licensed for royalties. A number of factors affect the value of patents, including the scope of the claims, the number of claims, and the years of life remaining on a patent. Feel free to contact a Traverse Legal patent attorney today at 866-936-7445 for a free consultation to discuss your patent needs.